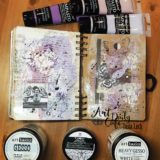 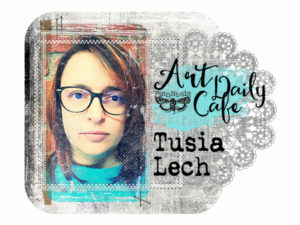 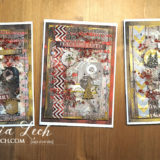 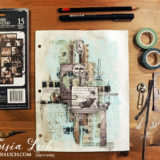 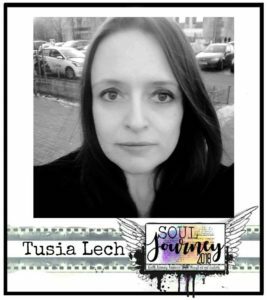 I have a collection of ATCs from many artists – it has been more than 5 years, when I started creating Artist Trading Cards. 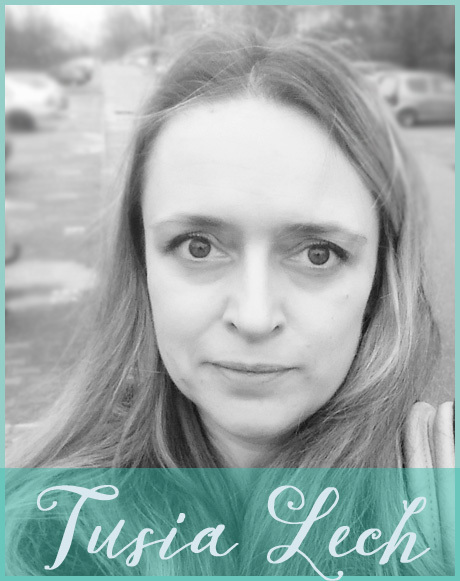 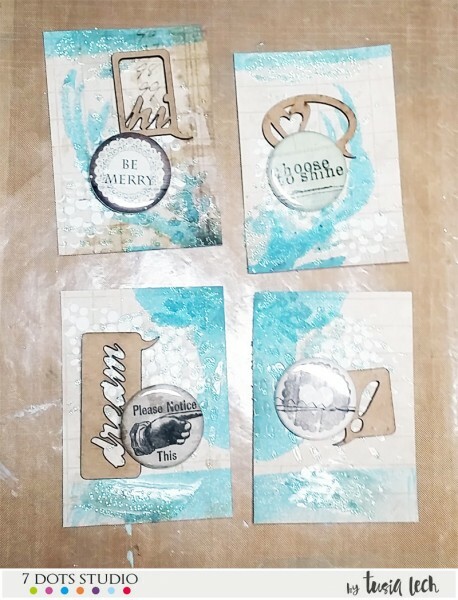 I love that small form, because it gives me an opportunity to trade 🙂 So here they are – my newest ATC series. 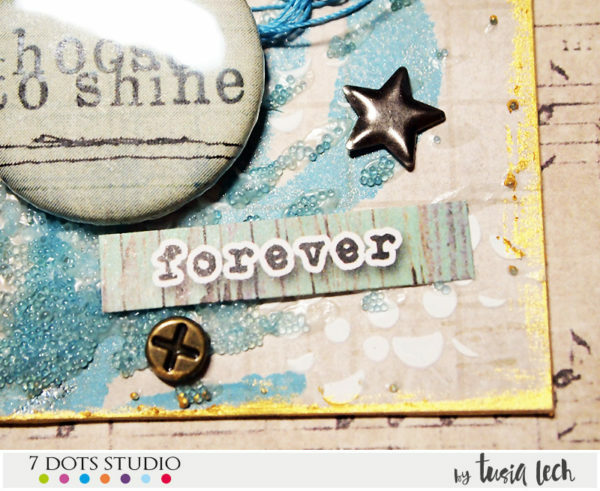 And here is short step-by-step tutorial. 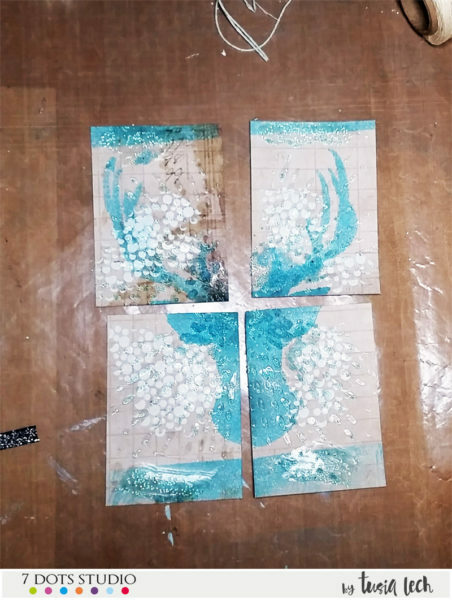 I started with misting some Glimmer Mist through Yuletide stencil and then applying some White Heavy Gesso (Finnabair) through stencil. 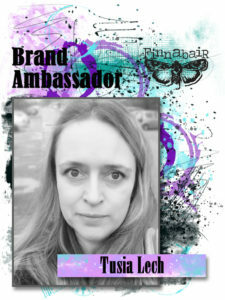 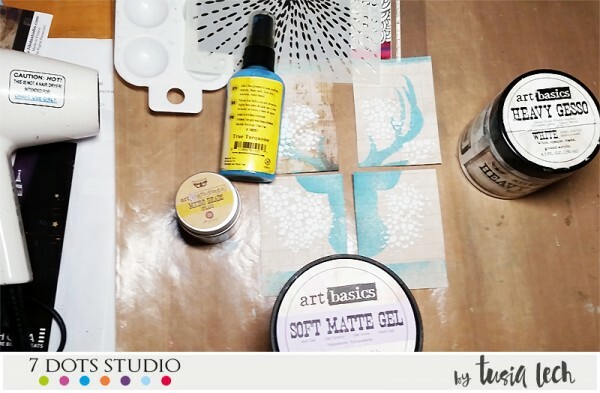 Then I mixed Microbeads from Finnabair with Soft Matte Gel and applied the mixture through the stencil (again). 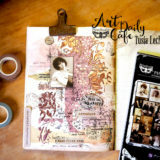 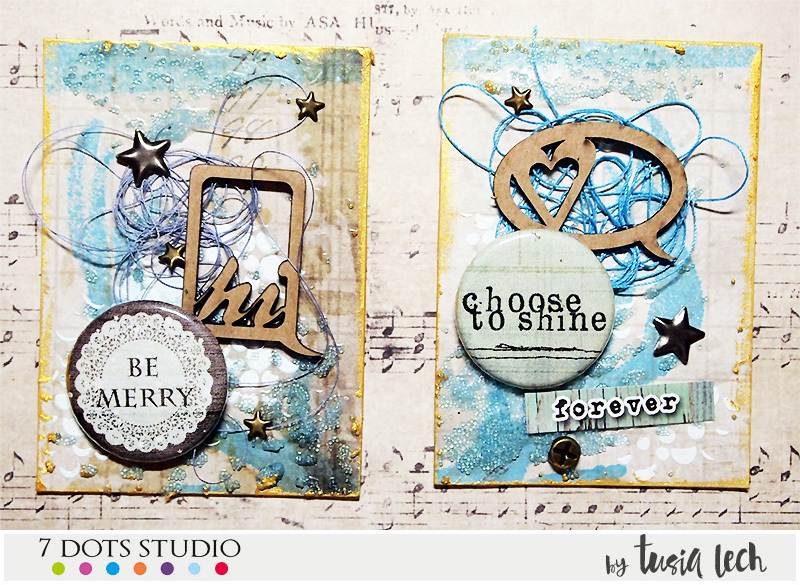 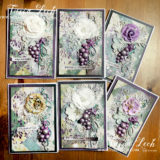 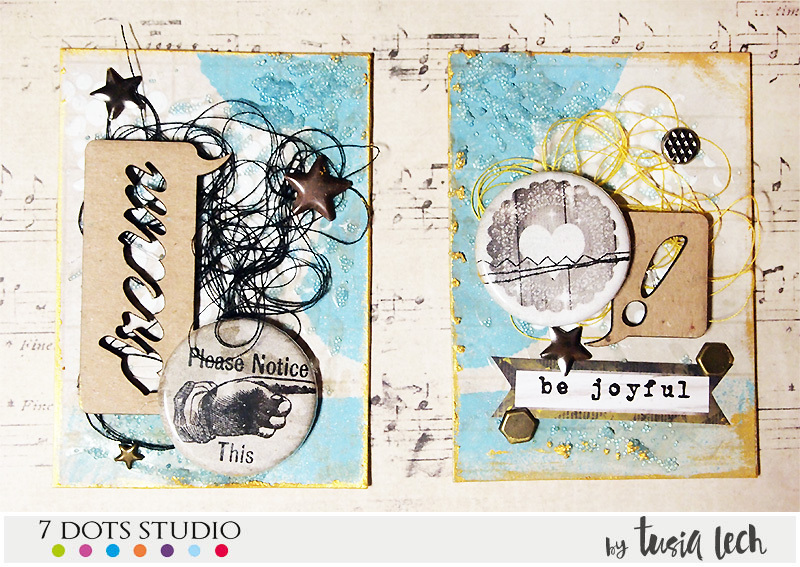 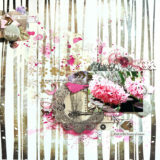 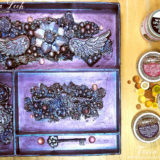 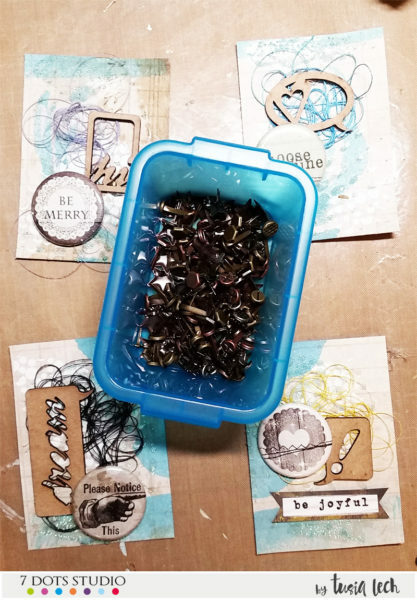 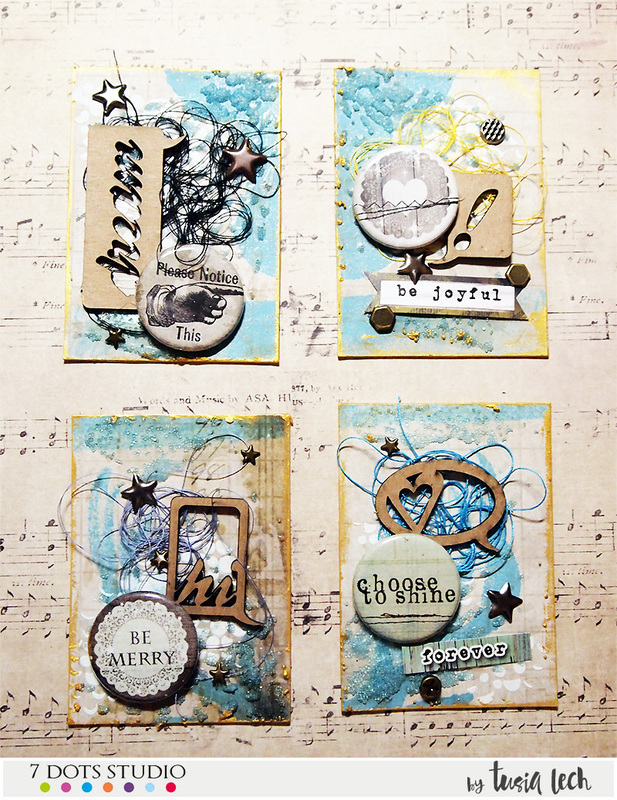 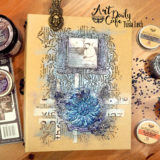 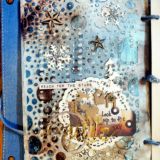 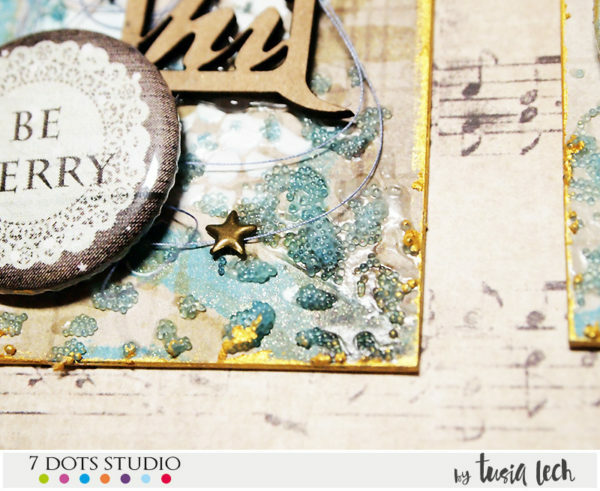 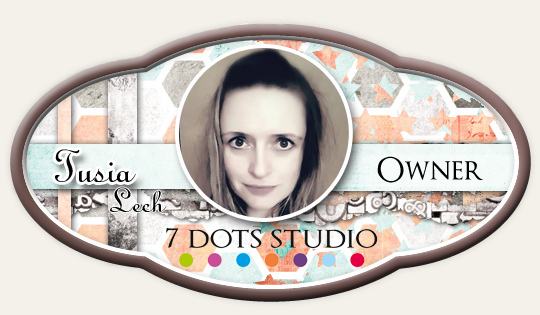 When everything dried, I started adding embellishments – UmWowStudio flairs, chipboard pieces and 7 Dots Studio stickers. 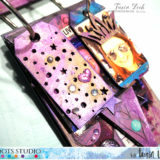 Final touch was adding some metalic brads.